For our Exposed article this month, we spoke with long time Screenworks member Shraddha Star. Shraddha has been living in the Northern Rivers since the early nineties and has spent the last 2 decades travelling the world making a documentary film The Art of Being in a quest to find answers to life’s big questions. Her journey has been the subject of a German TV station that has been been filming, screening and writing stories about the family for years, viewed by over four million people in Germany, Switzerland and Austria. This is a story of courage, a search for truth, a journey of faith and a quest for answers. Shraddha shares the her story with us here. The Art of Being is the story of Shraddha, and her quest to find answers to life’s universal questions. Who am I ? Who is God? How can we care for the environment? How can we find peace? The film documents Shraddhas journey, spanning over two decades. We watch her family grow and change, as they travel back and forth from their home in the Australian Rainforest, to the Four Directions of the planet. Reaching the source of the Ganges, in the Himalayas of India, Findhorn in the north of Scotland, the Indian tribal land of North America and into the heart of the Australian desert. Enduring landslides and floods, diving below the surface of the ocean and rising into the sky in a hot air balloon. The family travel by foot, train, plane, boat and automobile on their quest, to find answers to these universal questions. 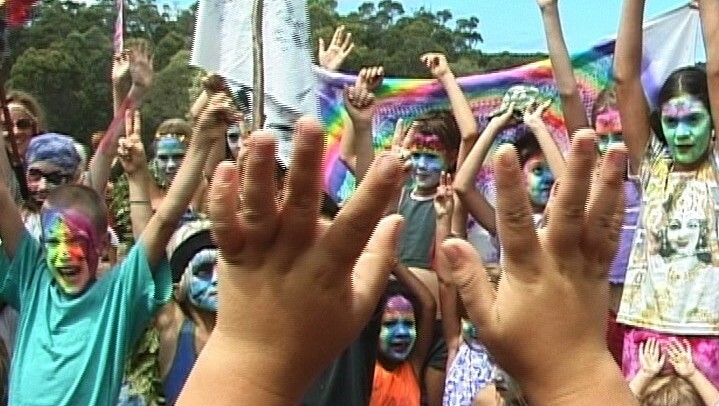 In innocence, what starts out as a vision to make a film, this journey becomes a epic pilgrimage, revealing itself, as she is guided by an inner calling to meet religious leaders, politicians, indigenous elders of many tribes and cultures, spiritual masters, medicine men, enlightened beings, peace workers, doctors and scientists, all sharing their knowledge and wisdom. During this time we feel the family’s humanness, share their joy and despair, disappointments and triumphs, on this journey of trust, which takes them full circle back to their home in the rainforest to discover The Art of Being. While Shraddha has travelled the world filming her major film project, The Art of Being she has also been producing short documentaries. Shraddha is based in the mountainous area of northern N.S.W, where she lives with her partner and their three children. Prior to filmmaking she worked as an actress living in Sydney, her work took her to Japan, India and the USA. She became a member of an organization called “C.A.M.E.R.A.”, where she met other documentary film makers in the same situation, living regionally and a network was created which developed into Screenworks as more and more creative artist came together. Over the years, Shraddha has received great support at several documentary conferences and events: The New Media cross-platform conference, Life is a pitch, Meet the networkers, and International Documentary Conferences held in Brisbane, Byron Bay and Fremantle. “The Art of Being” has been supported by experienced filmmakers Jenny Kendall, Paul Tate, Peter Simon and Kim Kindersley. At the Byron Bay International Conference Shraddha met renowned German filmmaker and keynote speaker Wim Wenders, who spoke about the responsibility of filmmakers to promote world peace. This gave her the inspiration to continue. At a later meeting in Germany, he spoke of the international interest in this subject and the importance of making this film right now, as world peace and global warming are the top issues for the planet and it’s survival. The Art of Being will attract a wide audience from young to old as it triggers the questions many of us are asking in our life. Shraddha’s vision is to create a film production company, based in the Northern Rivers area of international quality, supported by the Australian Film Industry, producing cinematography with teams of creative filmmakers, cast and crew, bringing our special skills together, to create films of importance and beauty. 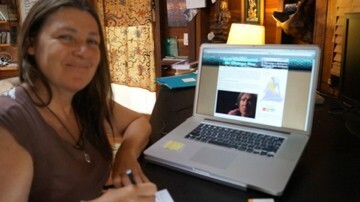 Her Passions is to create film projects relating to World Peace, the Environment, Spirituality and Indigenous Cultures. The Art of Being trailer can be viewed on the following website – http://www.theartofbeing-themovie.com/. The project is now in post production.